TRACTOR is working to enhance the efficiency of indigenous farmers, resulting in increased yields and improved rural livelihoods through education and training in modern agricultural practices, information technology and agro-business development. TRACTOR’s demonstration farm allows the organisation to engage farmers in diversify agricultural methods, and acquire skills in animal husbandry, aquaculture and sustainable farming techniques. The onsite ICT centre offers farmers access to computers and provides training and assistance on how to navigate the internet for relevant agricultural market information. TRACTOR is bringing the message of sustainability and biodiversity to all the rural districts in the region. Although changing century-long practices may not be easy, the organization is advocating for right to land use, social, economic and environmental friendly businesses and activities that promote equal distribution of wealth and improving the living standard of the rural communities. TRACTOR is also working to change the mindset of all stakeholders in the region regarding the importance of positive environmental. Ignorance and the use of poor agriculture methods reduce the productivity of small-scale farmers. Tractor is working to enhance the efficiency of smallholder farmers through education and training programs. The Capacity Building and Training Department facilitates capacity building programmes, diversify livelihood trainings, and knowledge sharing among small-scale rural farmers and rural communities. These programmes help improve the productivity and increase the income of smallholder farmers. 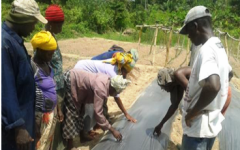 The department allows organizations to engage farmers in sustainable agricultural methods, and acquire skills in animal husbandry, aquaculture, and organic farming techniques. Although much of Ghana possesses prime agricultural potential, the country imports approximately 70% of its food products. TRACTOR is working to promote food production within the country to ensure greater food security for all Ghanaians. 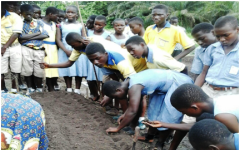 Through farming efficiency and agricultural engagement, the organization is assisting to improve the availability of food in Ghana. TRACTOR's sustainable agricultural model helps to increase production and yield levels resulting in heightened levels of food security for the nation. The farmer who has access to and knows how to use science (about soil, plants, animals), and technology can produce food in abundance. TRACTOR applies basic technologies and assists youth to access mechanisation services to help increase their productivity and uses modern, science-based agricultural methods to assist rural farmers to increase their productivity. TRACTOR is working to engage the youth with sustainable agriculture through practical, technology-driven workshops. TRACTOR works make agriculture exciting through hands-on learning experiences, and by highlighting the impact of modern machinery and ICT in the agricultural industry. By promoting agriculture as a viable career option, TRACTOR is helping to source the next generation of sustainably-driven farmers, while increasing food security in Ghana. While 60% of employed women in sub-Saharan Africa work in agriculture, they have significantly less access to productive farming resources comparatively to men. The UNFAO estimates that closing this gender gap could reduce the number of hungry people in the world by 12%. The department aimed at improving the lives of rural women engaged in agriculture by supporting them to increase their crop production through the provision of a sustainable water source, training and development and market provision. 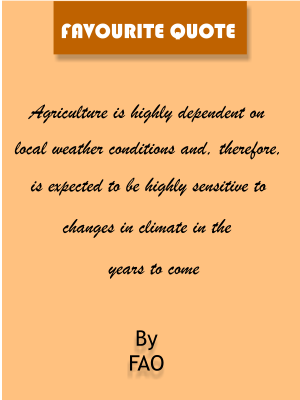 Environmental degradation and climate change threaten agriculture, food security, and poverty reduction. Protecting the environment promotes human wellbeing and reduces the effects of climate change. TRACTOR get farmers and communities informed about the effects of climate change and get them involved in combating it. TRACTOR works to inform farmers and communities about the effects of climate change, and empowers individuals to engage in combating it. TRACTOR aims to engage communities in environmental conservation, and promote sustainable and biodiversity agriculture as a solution to land degradation. The organization is helping to facilitate understanding around climate change and empower individuals to help reduce its impacts. The need for sustainability cannot be over emphasis. There is a need to transform the mindset of the rural communities and the world at large. TRACTOR is running the course transformational change as a means to change the mindset of stakeholders in the agricultural industry concerning sustainable agriculture. TRACTOR is focused on improving the health of Ghanaian’s through food and lifestyle education workshops. The organisation is working to promote awareness of the nutritional values and health properties of different food types, including the importance of a balanced diet and positive lifestyle choices. Workshops are tailored to school groups, agricultural workers, as well as the general public. Training programs are held both in TRACTOR’s ICT centre, along with schools and selected corporate institutions. TRACTOR wishes to develop projects for the Health and Nutrition initiative this year, and include this information as part of its other training programs. Family farming ensures food security while meeting rising societal expectations for food safety, quality, value, origin and diversity of food and thus contributing to smart, sustainable and inclusive growth. Family farming is a means of organizing agricultural, forestry, fisheries, pastoral and aquaculture production which is managed and operated by a family and predominantly reliant on family labour, including both women’s and men’s. It is the most operational farming model. TRACTOR is focus on creating awareness and encouraging family farm in the rural communities. The organisation is working to engage youth, women and men in family to practice family farming is associated with family values and reflects a lifestyle based on beliefs and traditions about living and work.